When I was a child, I spent a lot of my free time watching television. Unlike today’s youth, we didn’t have internet, video games, or even cable TV. Don’t get me wrong. I lived for Gilligan’s Island and the Brady Bunch, but these shows portrayed characters at a surficial level that I could not really relate to. The show that I had the most difficult time with believing was The Andy Griffith Show because of one character, Otis. I always thought that most alcoholics were like Otis the Town Drunk: staggering around with slurred speech. My perception was that an alcoholic was unclean, disheveled, and unable to hold a job. My mother, who I clearly believe is an alcoholic, was none of these things. Well, occasionally her speech was slurred and she staggered around, but that was when she was partying with her friends. All other times, she seemed the opposite. One of the worst things that happened when my mother was drunk was that she would confide in me about her problems with her friends, which was bad enough. But she also decided as I became older to share with me some of the private peculiars of events that occurred between her boyfriends and herself. She told me about things that I did not (and was not ready to) understand. She shared with me intimate details of her sexual escapades that no child should be privy to. Throughout my life, this felt like the only time in my memory that my mother actually liked me. I knew better than complain. It would do no good; I’d still have to endure it. And on top of that, it would make her angry if I balked. What I did not know was that this was extremely inappropriate behavior, and most experts would consider this a form of sexual abuse. Other than that, my mother generally blamed my brothers and me for all the things that went wrong in her life as well as in our own. Of course, this led to an insecure childhood and a neurotic adulthood. I spent a great deal of time wondering why people in my relationships didn’t love me. So, in order to satisfy my craving for the love and attention I sought and did not receive, I used what my mother had taught me about her sexuality to attract boys. I realized as a young teen that older boys like to flirt with pretty girls. I became interested in clothes, make-up, and hairstyles. I love the attention that I got from boys at school who called me pretty, asked for my phone number, and would sit next to me in class initially fulfilled my desire for attention. I went to sleep an average, plain girl and woke up a popular and pretty junior high school princess. Life was beginning to look up for me for the first time ever, or so I thought. But soon after my new-found popularity was unleashed, I discovered that boys had expectations that I was unprepared to execute. I was not ready for sexual relations. My mother made that seem vulgar and obscene. So, because of my unwillingness to give into their requests, I was soon labeled a “tease” by many of the boys at my school. Things changed again for me almost overnight. I became aware later that God was protecting me by giving me the willpower to stave off teenaged boys who were after only one thing, but it caused me a great deal of anguish due to the fact that I was already so attention-starved. So, I began to feel sorry for myself. I used this self-pity to justify my irrational behavior as I became more and more angry. Deep inside, I thought that if no one liked the pretend me, the one I dreamed up who was popular, pretty, funny, and smart, no one would like the real me who was none of these things. Out of these events, the birth of a biting sense of sarcasm grew. As my body and brain grew, too, my emotions stayed those of an immature teenager. I vowed that I would never show my true self again. I would continue to hide behind whatever handy mask that I could invent, but this time, I would be more prepared. I would learn the consequences of whatever part I played, but no matter what, I would not let anyone close enough to know the real me. Today, I am still trying to understand my unhealthy way of life that had plagued me for so long. I am aware of my mother’s drinking problem and its effects on me, both then and now. I have learned how I used the many masks to avoid being close or intimate with anyone, even to the level of friendship because of the confusing manner in which my mother confided in me that I was not prepared to understand. I have learned that I can trust again, even though my ability to trust during my childhood being raised by an alcoholic mother was tainted. I’ve learned that the Otis’s of the world are the exceptions, and that most alcoholics are highly functioning if judged only by outwardly appearances. Mostly, I’ve learned that I need people to help me heal. God has put them in my path for me to meet along my journey of unveiling the masks and exposing the real me, who is, in my own rights, a pretty princess, if only on the inside. Yes, there is a tremendous amount of healing involved in writing about the pain I endured. It doesn’t go away, but it makes i much easier for me to live with once the truth is revealed and I get support from my fellow bloggers like you! Your support is priceless in my journey! I haven’t seen any of her programs but I will look for them on YouTube. Thanks for the tip! Oh yes! I know. And your bravery is an inspiration to me! Thank you so much for your kindness! I agree with the above commenter that it is so healing to put things into words sometimes. It seems like you are able to see things in a very clear perspective..which is so good, such a good step for healing. And I can only imagine how many people may be helped directly and indirectly by you putting it out there so clearly and honestly. Thank you for that! Thank you so much for your kind regards. Blogging has been a huge aid in the recovery process. I’m sorry and grateful at the same time when I read posts from fellow bloggers who write about their pain. It’s amazing that so many have suffered at the hands of those who bore them. But at the same time, by sharing our growth through writing, we are not only helping ourselves figure out how to shed the tools that are no longer useful, we are helping others at least to have a connection to someone who understands by sharing our thoughts. No one wants to be alone! Selfishly, I did not set out to help others, but I am so happy that I have. Awareness is the key to any insight that I may have. Your feedback is priceless to me! Thanks again and I look forward to reading your blog tonight! 🙂 I love the power of writing. I also feel like sometimes, it’s the people who are not *trying* to help others that end up helping the most. At least, for me. I feel most helped a lot by things that weren’t intended as such, whereas when someone *tries* to help too much, it can just seem odd. For whatever that’s worth 🙂 I’m glad you are sharing! This is a wonderfully vulnerable post. I really like the way you put it “out there” in such an honest and vulnerable way. Thank you, Robin. I will never be whole if I can’t be honest and truthful. I feel the need to expose the events that have caused me anguish in the past so that I can shed that feeling once and for all. Your support is truly amazing to me! I can’t thank you enough! Like you, I was covertly sexually abused. It had a deep effect on me. I developed what is called “Attachment Disorder”. Maybe you might want to Google it to see if it relates to your situation. I googled Attachment Disorder. I am not sure that I displayed many of the behaviors I read about that children develop. (Those sound more like my brother!) Many of the behaviors of an adult with Attachment Disorder match the feelings and actions that I have had in the past, and some I still have today that I am struggling to cope with. Wow! Thank you for bringing this to my attention. It is definitely something I want to explore in greater depth! Parents can do so much damage. It is so wonderful to see that you are learning and growing stronger to become a well adjusted and beautiful adult. There is no mask that can ever compare to the unique beauty that is you. Thank you for sharing your insight. Thank you for reading! Your comments are quite encouraging! You have such a clean writing style for such a burdensome topic. For me when I’m dealing with muck, I look towards the universe and ask what did my trials prepare me for? What, because of going thru muck, did I learn? Sure, some unhealthy things. But search within you for that gem, because somewhere beneath all the muck, inside and outside of you, there is a gem. You are here for a reason, I believe that without doubt in my heart. I know for a fact that you are helping others out there by being so honest. In your post you say you need others to help you, I just wish to say that you have everything you already need, inside you. You know this deep within. Deep in that gem. Spend sometime throughout the days meditating on the beautiful radiant gem that lies within you. 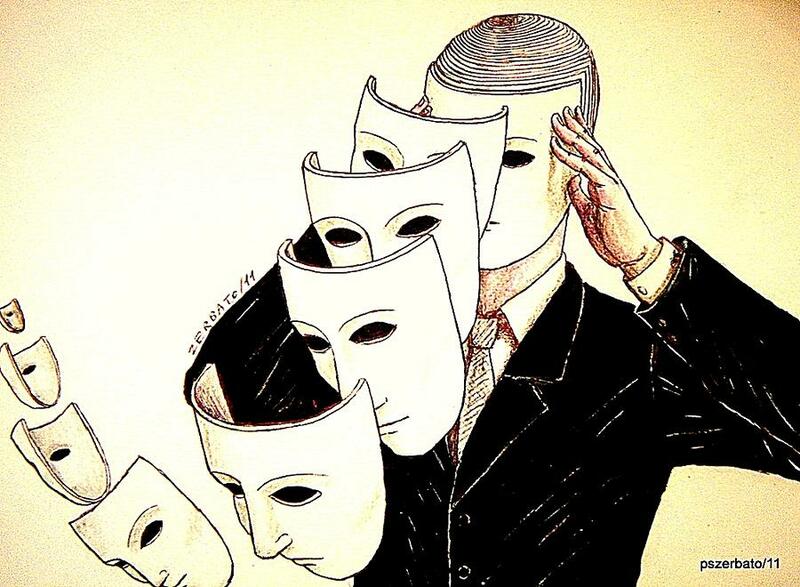 The real you, no masks needed, is the only one the world needs. Thanks for being you! Hi! Thank you for all your kind words. They are very inspiring. Funny you should mention meditation. I’ve been contemplating that very topic. I think it will help me clear my mind of some of the muck! As for needing others, I simply meant that sometimes, it is good to have someone who can listen as I talk things through- the things that are spinning round and round in my head. But you are right. The healing power does lie within myself, and I look for that nearly each and every day! Thanks again for your words of encouragement. They were beautiful and taken as a gift! You are beautiful and, without doubt, a gift! Thanks for being you! And so glad we’re blogging buddies! Amazing story. What would we do without God protection. Be encouraged. Such a powerful read! Your mother reminds me so much of my own she was so neglectful and often blamed us for entrapping her, before finally deciding that she would live out her youthful fantasies even with young children. It is very sad when a mother becomes a deterrent to the emotional growth of her children, I see it very often now and it breaks my heart to think of the way this may shape children’s lives and personal growth. You’re an incredible inspiration for all also trying to find their way away from a painful past to a better present and future! Oh boy – those masks! thank you for sharing. I love what you said towards the end: you need God and people to walk your healing journey with you. Without that I would be completely lost. I’ve learned that I can’t be my own saviour – that mask fell off a long time ago. Thank you for following my blog and I’ll be keeping in touch with yours too. YES! “I can’t be my own savior!” No matter how hard I try, I cannot change God’s plan for me. It has taken me all these years to really understand what that meant. Thanks for following my blog, too!